Fans of Krusty the clown can now have their own Krustyland t-shirt. 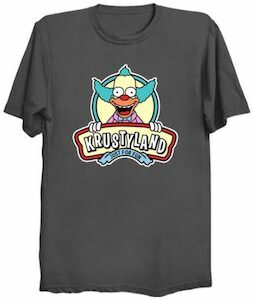 If you watched all The Simpsons episodes then you definitely have seen the one about Krustyland and this t-shirt is all about it as it shows a big images of Krusty the clown and a banner that says “Krustyland Just for Fun” and it all looks like the logo fo the amusement park. 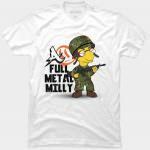 You can get this Simpsons t-shirt in many styles for men, women, and kids and it comes in a whole bunch of colors and sizes. Bring Kusty where ever you go by simply wearing this fun Simpsons t-shirt.